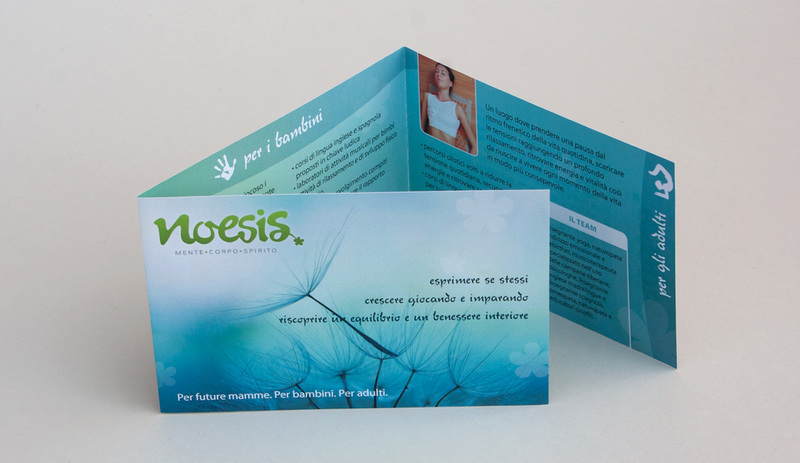 Noesis is the Greek word for reason. More specifically, it refers to the exercise of reason in the apprehension of universal forms. 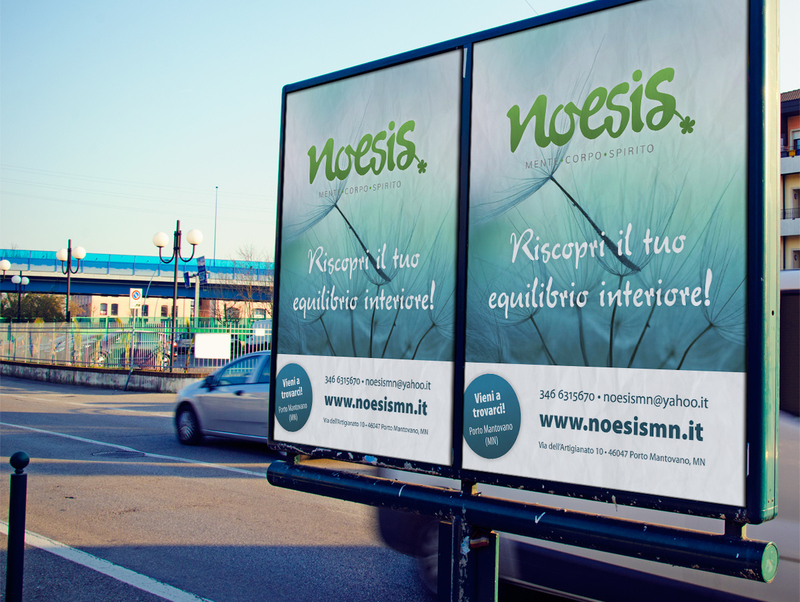 The idea behind the new Noesis Center in Mantova (Italy) is to provide a space in which to develop human relationships, grow in knowledge, express creativity, and rediscover the energy and vitality to live a more complete life. The center offers seminars and workshops for expecting couples, learning labs for children, relaxation classes for adults, and much more. 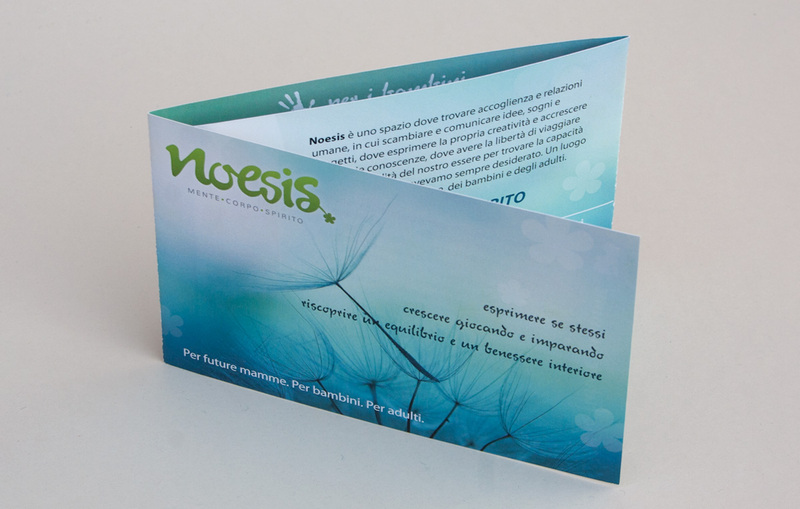 As the logo tagline suggests, Noesis is about the holistic approach – encompassing mind, body and spirit (mente, corpo, spirito). 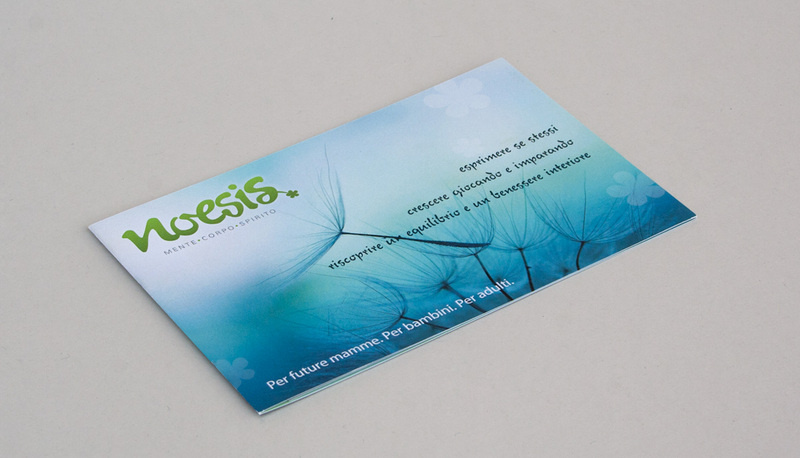 The challenge was to develop a logo and a set of marketing materials from start to finish within 3 weeks. I would normally push to allow more time than this (especially when it comes to logo design), but in this case we did not have that luxury. 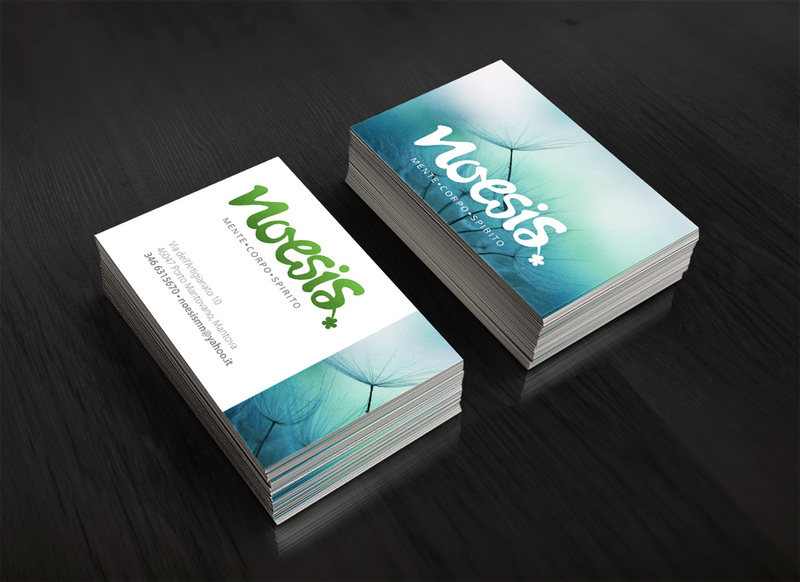 The logo needed to be organic in form and (of course) capture the essence of what Noesis is about. The solution was to move efficiently through the various stages of logo design so as to come through with a solid logo with emphasis on the holistic/organic approach. 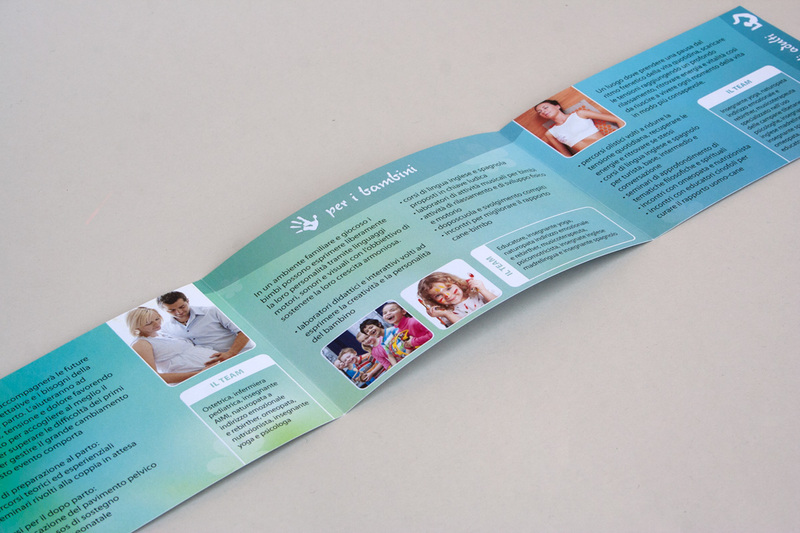 Once the logo was defined and approved, we turned to the design of a small intro brochure and a poster. And the website followed shortly thereafter.